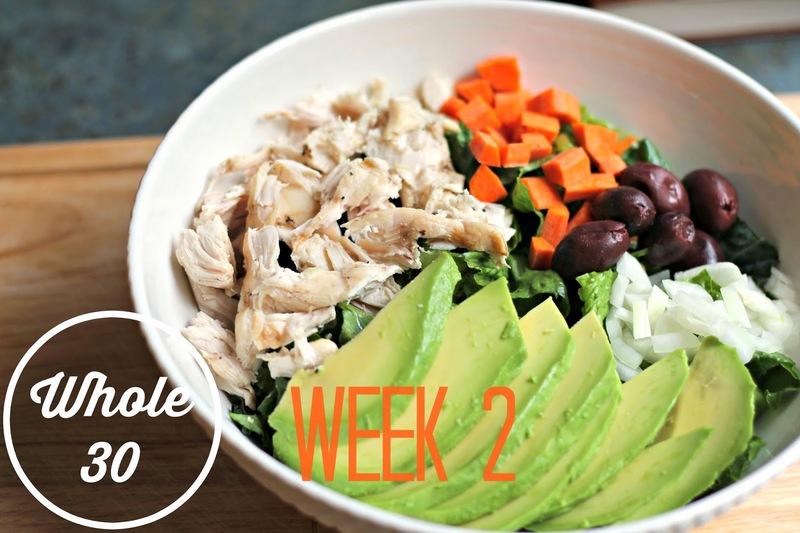 Week two of the Whole 30 challenge is here! My first week was tough, but I think (and hope) that I'm finally over the hump. I made it through the weekend without a glass of wine, but did have a few minor slip ups. (see Sunday's breakfast choice below) Overall I'm really proud of what I've done so far, and I'm down almost three pounds! My favorite new food is almond butter. Trader Joe's offers one that has no added sugar, and it is scrumptious. I've been having apples dipped in almond butter at some lunches. I have to be careful about serving sizes, as it is calorie and fat dense, but it's worth every bit. Here's the meal plan for this week. I'm not sick of eggs yet, but after eating them every morning for two weeks, I could be approaching an egg strike. After your first post I decided to give it a try and I'm DYING. I'm on day three and all I want is some chocolate. I did want to ask your opinion on potatoes on this challenge. The things I've read have gone both ways!